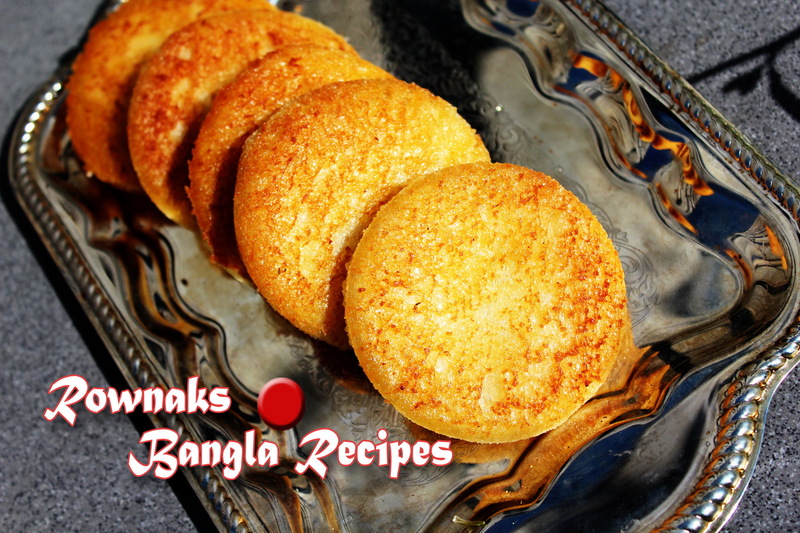 Shahi Tukra / Bread Pudding / শাহী টুকরা is a quick and easy recipe, specially perfect for those who just start learning the cooking. Like all shahi dish this one has ghee, dry fruits, and thick evaporated milk. In original recipe bread are deep fried in ghee and need to soak fried bread into the sugar syrup first, then milk sauce is poured over fried breads . But I like to swallow fry bread in ghee and skip syrup process which makes the recipe easier without compromising its taste. Just make sure use pure ghee for its “Shahi” taste and fry bread on medium heat. Cut the bread in your desire shape (tringle, square, rectangle, round, heart shape etc) and cutting the crust is optional. Heat the pan with ghee and when ghee is ready, toast the bread from both over medium heat until bread is toasted on both sides golden brown and crispy. Set aside. In a heavy bottom pan boil milk with cardamom pod and saffron imitation until milk reduces to half. Make sure frequently stir milk and scrapes the sides. Add sugar and half dry fruits. Boil it till sugar dissolves. In serving plate arrange bread slices and pour the milk over bread covering all sides. Garnish Shahi Tukra / Bread Pudding with remaining dry fruits.